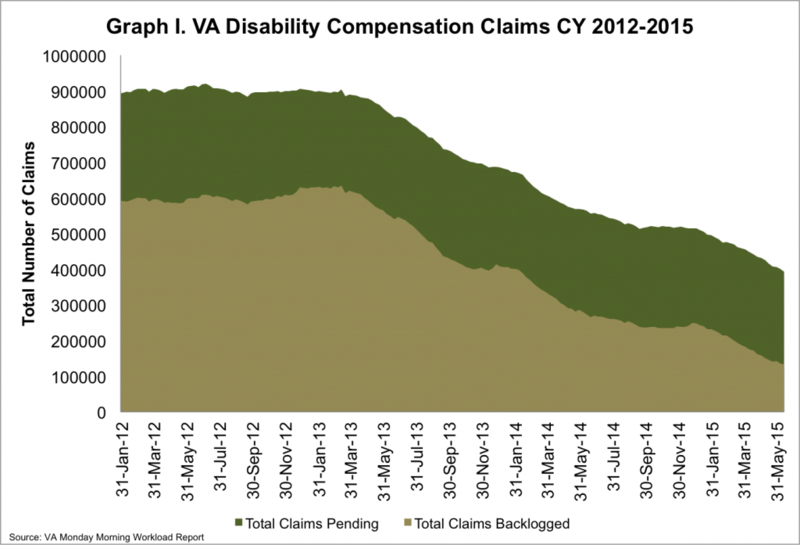 Last Monday the VA reported that the disability compensation claims backlog1 decreased by a little more than 4000 claims the week of June 14 – 20, 2015. 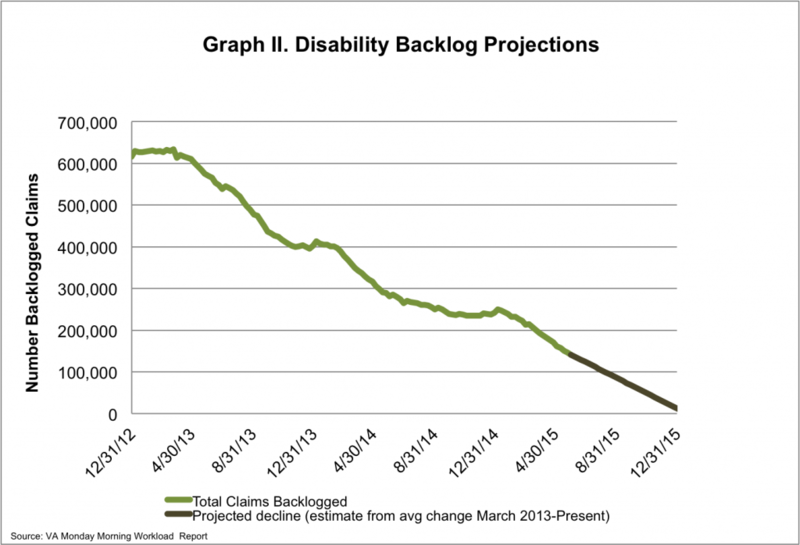 A total of nearly 394,000 claims are pending a decision, with about 132,000 backlogged (defined as a claim that has been awaiting a decision for more than 125 days). This means that 34% of the claims pending have been pending for more than 125 days. The VA must reduce the backlog by a net 3,150 claims per week to meet the deadline to end the VA backlog by the end of CY 2015. Since March 2013, the average number of claims processed weekly is averaging ~4,300. Based on the current rate of progress for the VA, they are on track to meet their goal of functional zero by the end of CY 2015. 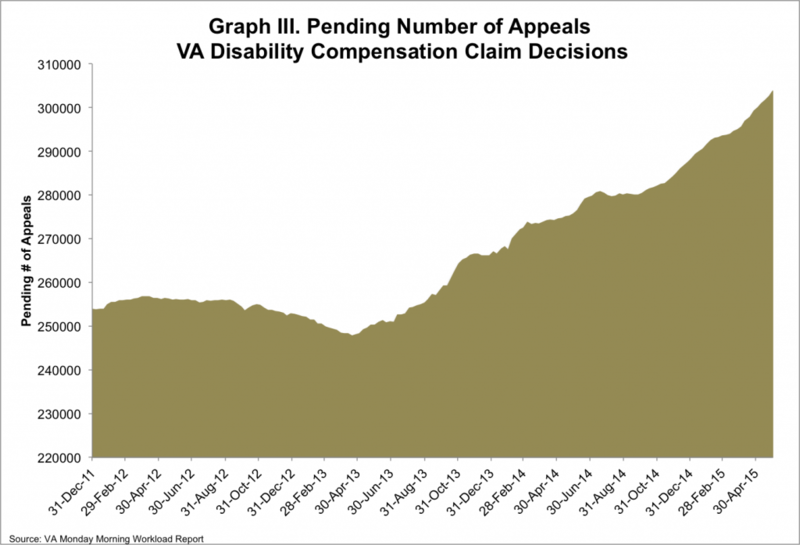 This is also the 19th week in a row that the Department reported an increase in the number of appeals pending, increasing to an all time high of more than 306,000. 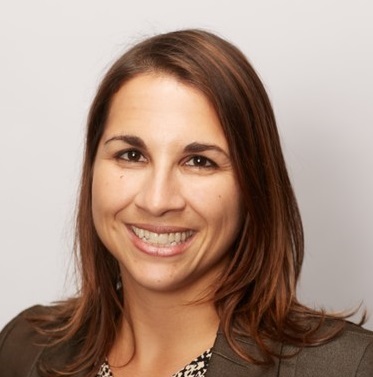 To read more about the VA disability compensation benefit and the backlog, as well as IAVA’s recommendations for further reform, read IAVA’s 2014 Red Tape Report . To hear more from veterans who have been a part of this process, visit thewaitwecarry.org.